Hi-Rez Studios hope to carry their experience and success in the eSports environment with SMITE to their upcoming release Paladins as today they announced their plans to release the Constructed Mode with the next update to the card-based first-person shooter. 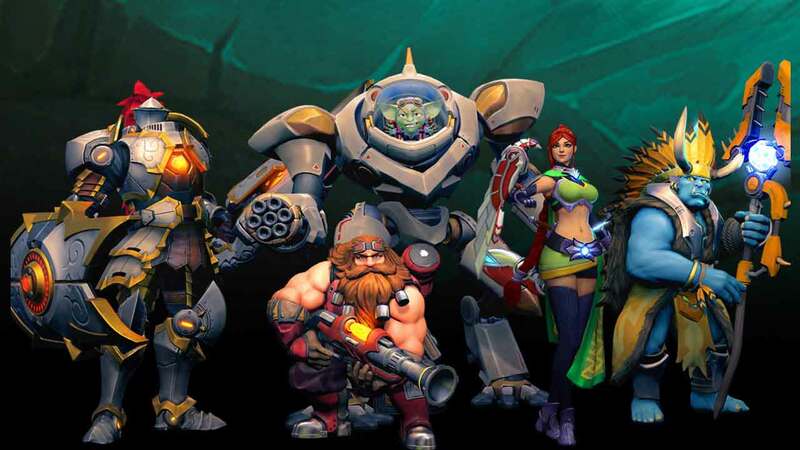 The team also confirmed what was originally revealed in a recent trailer, the $100,000 Paladins Founders Tournament that is expected to begin Spring 2016. The new Constructed Mode will pit player against player on a random maps as they level and draw cards from pre-constructed deck types. This promises a more balanced and competitive environment for Paladins players, the perfect ingredients for eSports success. The Founder’s Tournament will be held in the early spring 2016 at the Hi-Rez eSports Arena in Atlanta and will feature a prize pool of $100,000. Hi-Rez will select 4 teams to attend the tournament based on a series of online qualification events. Two teams from North America and two teams from Europe will qualify. In addition, Hi-Rez will start holding regular online tournaments with small cash prizes in January. Looking for more information on Paladins? Check out our Paladins first look impressions video.